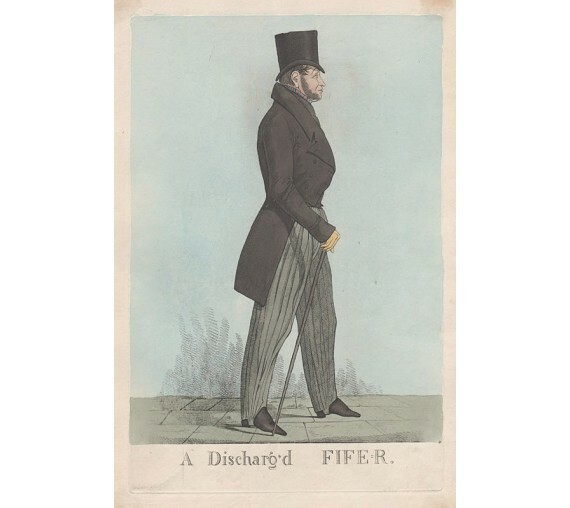 English 19th century portrait caricature by Richard Dighton. 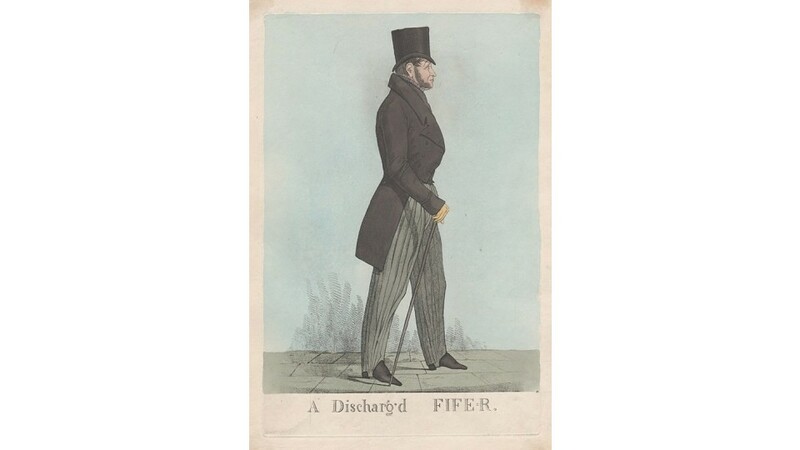 A caricature portrait of James Duff, 4th Earl of Fife, (1776-1857). Robert Dighton began in the 1790s a series of caricature portraits which his sons Denis and mainly Richard continued. Laid down at corners. Brown marks from glue coming through the paper at corners of sheet, just outside the platemark.